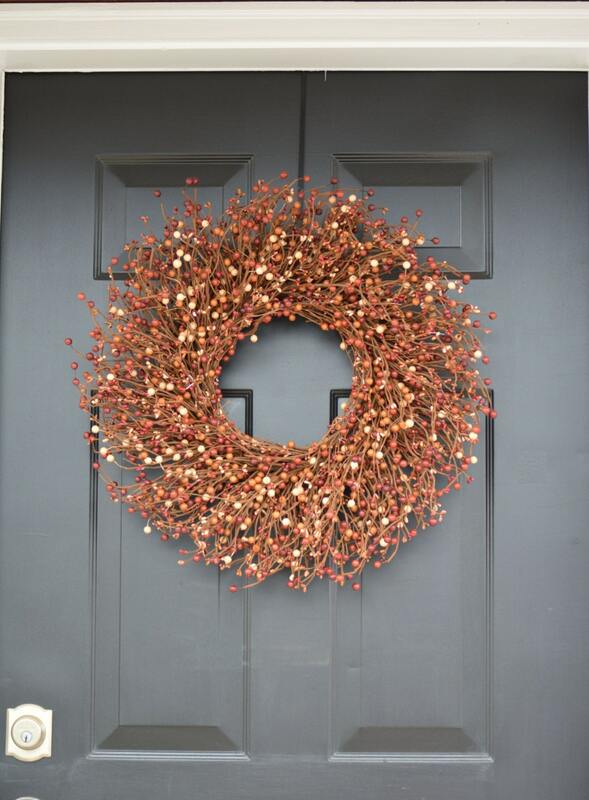 This stunning fall wreath contains large and small artificial berries secured on a grapevine wreath. 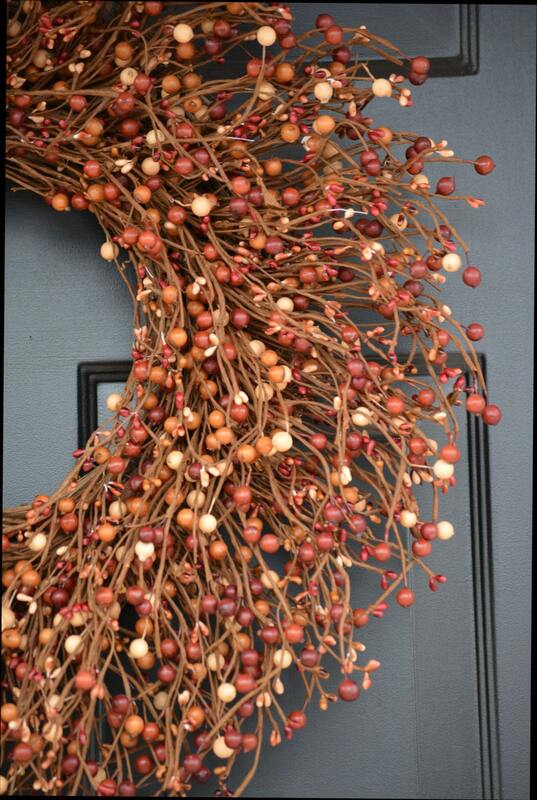 Bright fall cream, tan and brown colors will make this berry wreath a great addition to your fall décor. 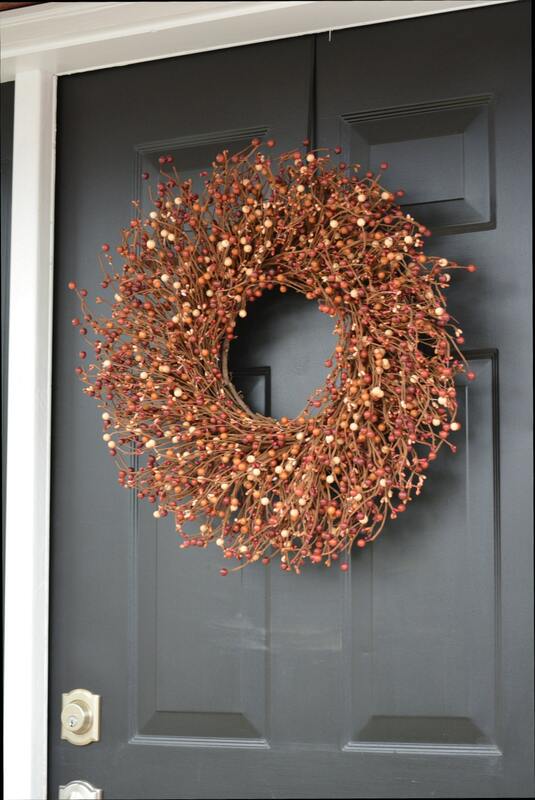 The fall berry wreath first pictured measures 22-23 inches wide and 5 inches deep. The last wreath pictures is 18 inches and is 3-4 inches deep. Choose your wreath size in the drop down menu. 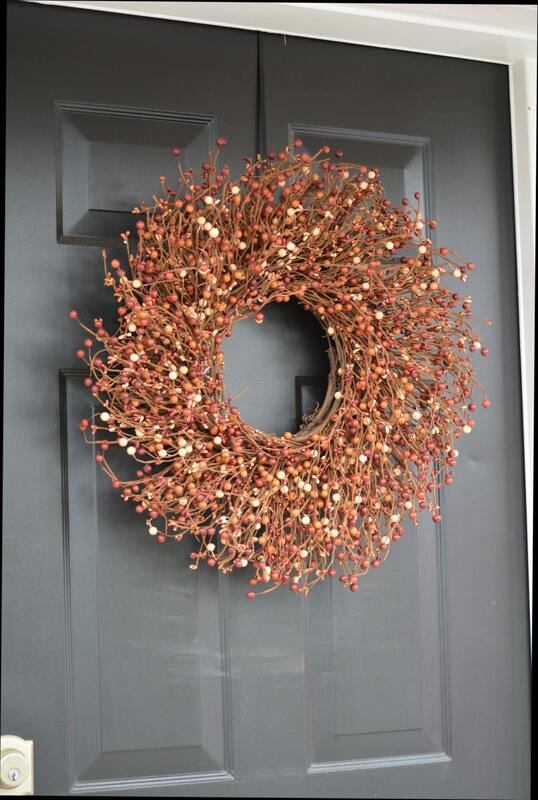 *** This wreath can not get wet and full overhead coverage is recommended. 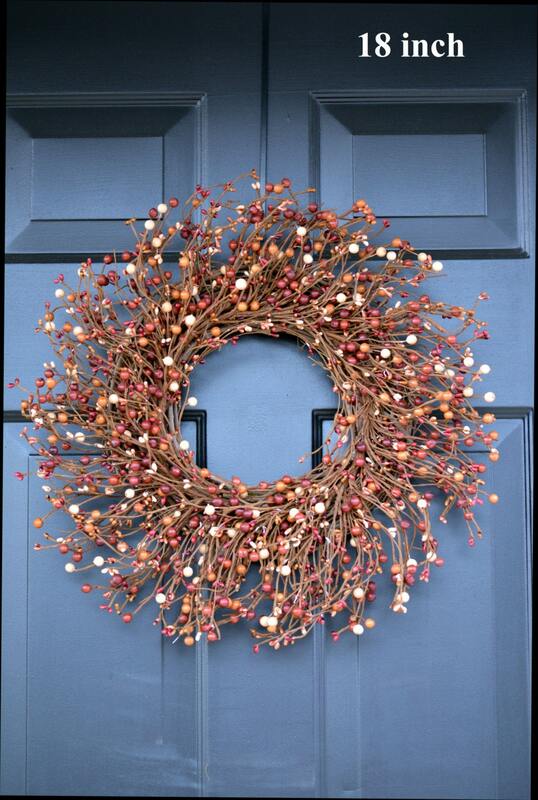 If you would like to add a UV/Weather protective coat to protect the wreath outdoors please add this listing to your cart at checkout. Beautiful full wreath! My mom just bought the same wreath! Although the wreath was lovely; according to the picture and description it was not what I expected. I thought I was getting a wreath with orange colors for Thanksgiving and it was actually more on the brown side..